Radio X will host an intimate event with performances by Mumford And Sons and Tom Chaplin in aid of War Child on Thursday 22 December at London’s Omeara. Radio X presents Mumford & Sons’ Christmas Party will feature an hour-long set from the band in their first UK performance since their huge British Summer Time gig at Hyde Park in July, plus a set from frontman of Keane Tom Chaplin. All proceeds from the event will go to War Child, a charity that supports children affected by conflict. Watch Marcus announce the show below. Mumford And Sons released their multi-platinum debut studio album Sigh No More in 2009, before going on to top both the UK and US album charts with Babel (2012) and Wilder Mind (2015). Earlier this year they released the critically acclaimed Johannesburg, a mini-album recorded in South Africa. With their anthemic choruses and emotive lyrics, the band are known for their epic live performances which have included headline sets at Glastonbury and Reading and Leeds. 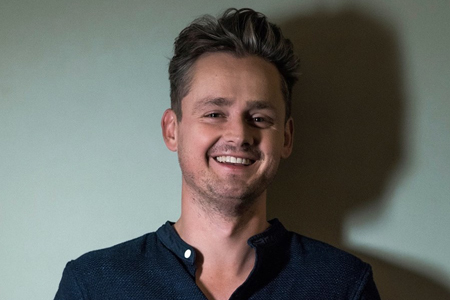 Tom Chaplin enjoyed huge success with Keane, scoring 5 number one albums between 2004 and 2013. In October, he released his debut solo album The Wave, a self-penned collection of enormous, emotional pop tunes. Radio X Presents Mumford & Sons’ Christmas Party in aid of War Child will take place at Omeara – the new gig venue set-up by Mumford And Sons’ Ben Lovett – and will offer fans a rare opportunity to see the artists perform up close in an intimate setting. Tickets go on sale on Friday 16 December at 8am from www.radiox.co.uk. All proceeds will go to War Child. 1. Why are Radio X using DICE? By using DICE as our ticketing agent for this event it means that absolutely no tickets can be sold on the secondary ticketing market. Also DICE doesn’t charge booking fees meaning that every single penny of the ticket sales goes to War Child, helping them continue their work with children in conflict. DICE help you find the best gigs, clubs and festivals and sell you the tickets with No Booking Fees. They are all over the UK, 100% mobile (you can’t buy tickets on a web browser) and available on iOS and Android. 3. Can I use DICE without a smartphone? As DICE is 100% mobile, they can only offer our services for those with Android or iOS phones. 4. What is the Waiting List? If the event you are trying to buy tickets for says Waiting List, that’s because we have sold out of our allocation of tickets. You can join the Waiting List for free and if more tickets become available, we’ll notify you. If you have tickets to a sold out event that’s now showing Waiting List and you can’t attend, please contact help@dice.fm to offer your tickets to someone that can. Tickets are Limited to one booking per person and two tickets per booking. All proceeds from the event will go to War Child. War Child is striving for a world with no child’s life torn apart by war; rebuilding the lives of children affected by conflict and giving them hope. War Child aims to reach children early in the conflict cycle and stays to support them through their recovery, providing education and protection and building longer-term livelihood opportunities. We support children to deal with the traumas of armed conflict, equipping them with the skills and knowledge to go back to school, and providing training to young people so they can support themselves.